No one has lived long enough to describe the tiger in detail, but some things about her are known. She traverses great stretches of land in a day and is comfortable wandering deep into human territory. After killing her first three or four people, she began to eat her victims — starting rump-first, one expert said, as she would a deer. Though it is impossible to say with certainty whether the same tiger is at fault, last weekend brought the 10th death in six weeks widely attributed to the “man-eater,” as Indian newspapers have called her. Conflicts with humans are arising precisely in the handful of places where the endangered Bengal tiger population has rebounded thanks to careful conservation efforts, said a wildlife biologist who runs the India program of the Wildlife Conservation Society. “These conflicts are the price of conservation success,” he said. At the turn of the 20th century there were 40,000 tigers in India, according to the country’s National Tiger Conservation Authority, but there are now just 4,000 in the wild, prompting a broad campaign to protect tigers and the fragile forests in which they live. But where conservation efforts have helped shore up tiger populations, the hulking, half-ton cats encroach on settlements that are unaccustomed to them. In the wake of each attack, the tigers are met with a noisy furor, instead of the subdued, systematic dragnet used by earlier generations long used to living near tigers to guide them back into the forest. A string of attacks continued, tracing a 90-mile journey north toward the Jim Corbett National Park, across the state border in Uttarakhand, a nature preserve that claims one of the world’s densest tiger populations and is named for a tiger hunter and conservationist. Then one morning, a 45-year-old worker named Ram Charan got out of a car to relieve himself on a roadside in the Jim Corbett National Park. When his companions ran toward his screams, they found him some 60 feet into the forest, the flesh torn off his thighs. After he died, angry villagers surrounded a forestry service outpost, trapping personnel inside for some time. They are saying, ‘Give us guns, and we will kill the tigress.’. They say, ‘If your family members were getting killed, you would realize what kind of pain we are in.’ They are angry and afraid, so their tempers are running high. 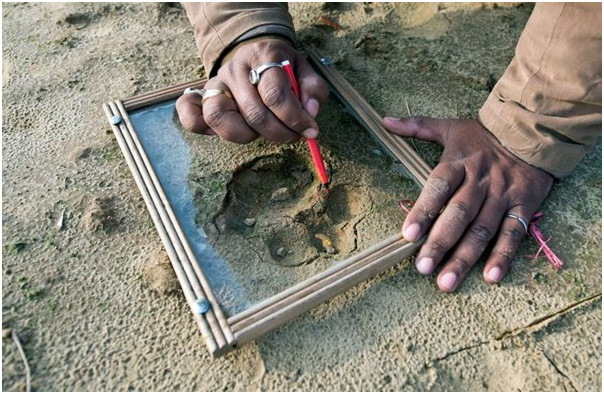 Trackers have gradually pieced together a portrait: The paw print, roughly five inches wide, suggests a female — a breeding one, since her canines are intact, said Belinda Wright, executive director of the Wildlife Protection Society of India. One paw does not lay flat on the ground, suggesting the tiger is injured, Ms. Wright said. Four hundred people and two elephants have been combing the forest since then, working in expanding concentric circles, “working to establish the identity of the individual” who attacked Mr. Charan, said Samir Sinha, field director of Corbett National Park. He said he understood the anguish of villagers who surrounded the forestry outpost, after Mr. Charan was mauled, but said it was too early to assume the “man-eater” had entered the park. He said he believed the attack was a chance encounter, sparked when Mr. Charan surprised a resting tiger. 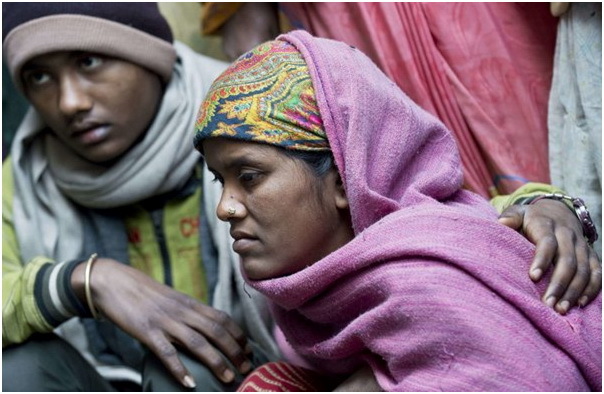 Across the state border in Uttar Pradesh, gunmen have been summoned and given license to kill. Sanjay Singh, a registered sharpshooter, was summoned by the forestry service after the seventh fatal attack, and has spent three weeks in the area. He said he believed she has moved to an area so densely forested that it is impossible to ride on elephants, as tiger trackers prefer, and he and a dozen trackers are patrolling on foot, combing the forest from morning until sunset.